We have an affinity for fashion, so it’s no surprise to us that the weddings of the brides, who hire a bridal stylist are often the most praised, for the complete look of the wedding. Because we hate seeing the bridal stylist get overlooked when hiring vendors to help you on your wedding day, we came up with three reasons why you should hire a bridal stylist. As you go through the list, we’ll show you some of our favorite fashion-forward BTS weddings. Finding the perfect dress is already stressful enough. You’re trying to find the dress you haven’t already seen a bride wear. The dress that matches your wedding venue. The dress that compliments your body. The dress that doesn’t overshadow the groom. With so many things to consider, too many chefs in the kitchen can lead you into choosing a dress for the wrong reasons. Entrusting a bridal stylist with searching for the right gown for you is a decision we can’t speak more highly of. It streamlines the process, may open your eyes to designs and designers you haven’t thought of, and so much more. Not thinking wedding day is also about them and just settling for a black tux. Wanting to step out of the box a little bit, but not quite executing the look. Wanting to step out of the box a little bit, but not sure how or where to start. Wanting advice, but not wanting to ask their wife to keep that element of surprise between the bride and groom. Hiring a bridal stylist for the reasons above can take tons of unnecessary stress off of an already stressful time. Let the stylist do the heavy lifting and help you with feeling and looking your best on your wedding day. After all, grooms, this day is about you too! Just as the bride and groom should compliment each other, so should the bridal party. That includes everyone, mother and father of the bride and groom, ring bearer, best man, maid of honor, groomsmen and bridesmaids. You want everyone to cohesively compliment one another. 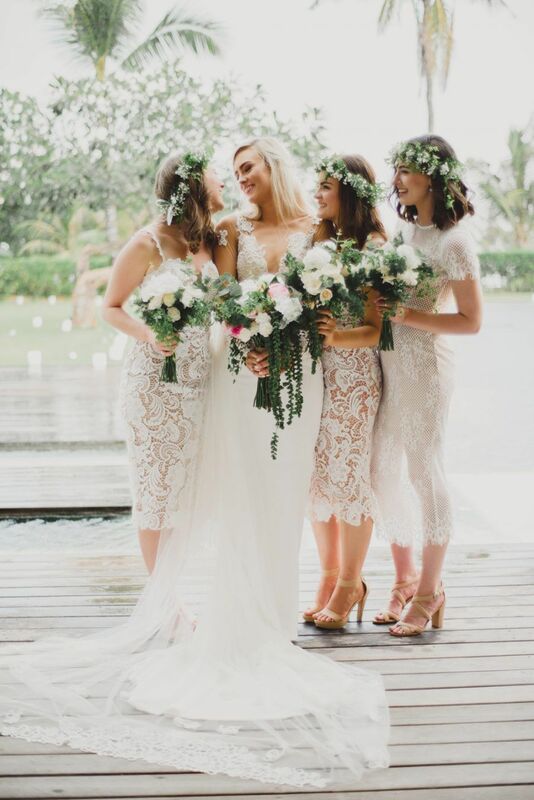 Now that you’ve got the rundown of why it’s important to hire a bridal stylist if you’re looking for one, please email info@btseventmanagement.com. We’d love to consult you on your wedding day fashion needs. One of our most viewed posts are our style boards. So, we’re back at it again, this time with red bridesmaid dresses as our inspiration. We’re going to keep it short and sweet because we know why you’re here. We know the struggle brides go through when looking for the perfect bridesmaid dresses. Now with social media, and if you’re following the hashtags we recommended for wedding planning, you can see so many different weddings and particularly, so many bridesmaid dresses. It can get a bit overwhelming when trying to find the perfect dress for your bridesmaids–especially one you haven’t seen before–on top of all the other wedding planning. Recently we took to our Instagram Stories (@btseventmanagement) to ask our followers about which type of bridesmaid dresses they preferred . . . prints or solids? Many people responded and told us they have been seeing a lot of patterns lately, but overall most people mentioned that they love a good solid colored dress.